North end of the lake or using a jig and a minnow at the bridges was the most effective. Many anglers reported catching numbers of fish over 20 inches while pre-fishing, but just couldn't find those fish on the day of the tournament. 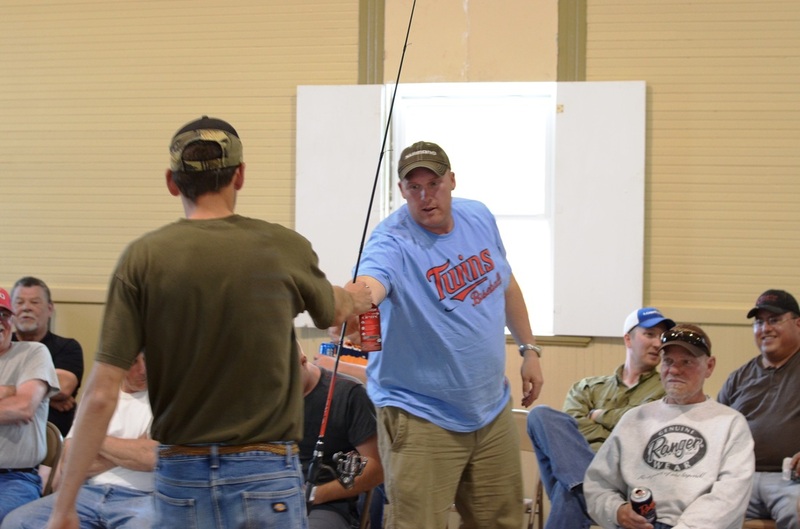 Top honors went to Scott Monson and Jeff Andreas of Montevideo, MN with a winning weight of 18.03 pounds. Monson and Andreas also had the second largest walleye of the tournament weighing 7.76 pounds. In second place was Jason Randall of Milan, MN and Darrin Hatletvedt of Montevideo, MN. 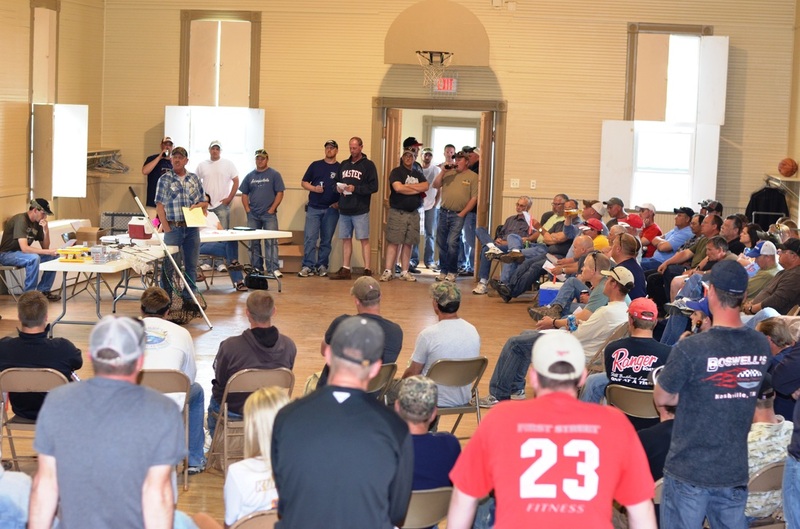 They brought a limit to the scales that weighed 17.17 pounds and included a 7.15 pound walleye. 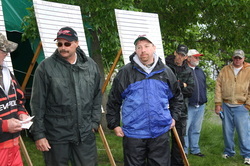 Third place went to Doug McDaniel of Marshall, MN and Andy Doom of Russell, MN. The pair weighed a 15.68 pound basket and won big fish honors for the tournament with an 8.57 pound walleye. Corey Reiffenberger of Montevideo, MN and Leo Reiffenberger of LaBolt, SD earned fourth place with a weight of 14.42 pounds. Team Prellwitz rounded out the top five with a weight of 13.97 pounds. Cole Bungarden, youngest entrant, with Tournament Director Wayne Stensrud. 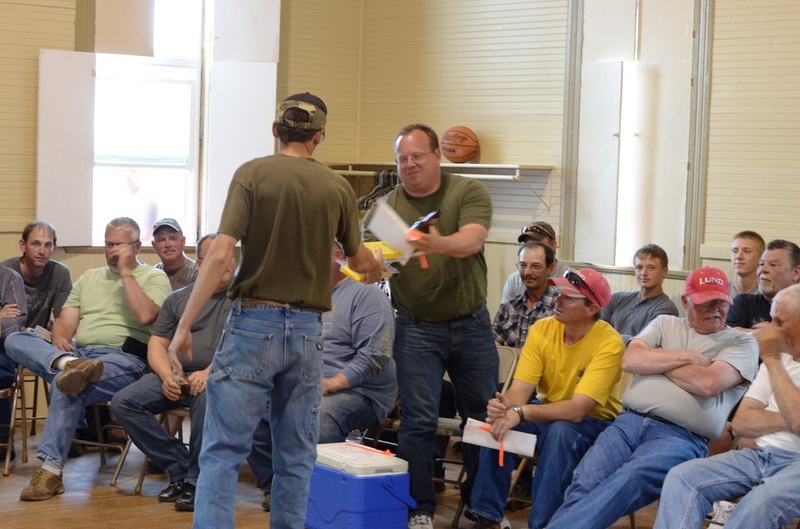 Rules meeting at the Watson Town Hall. Winner of new Fenwick Trolling rod, compliments of the LQP Lake Association. Lucky winner of a spinning rod and reel combo. Winner of a set of planer boards donated by the LQP Lake Association. The smile says it all.......you can never have too many planer boards! 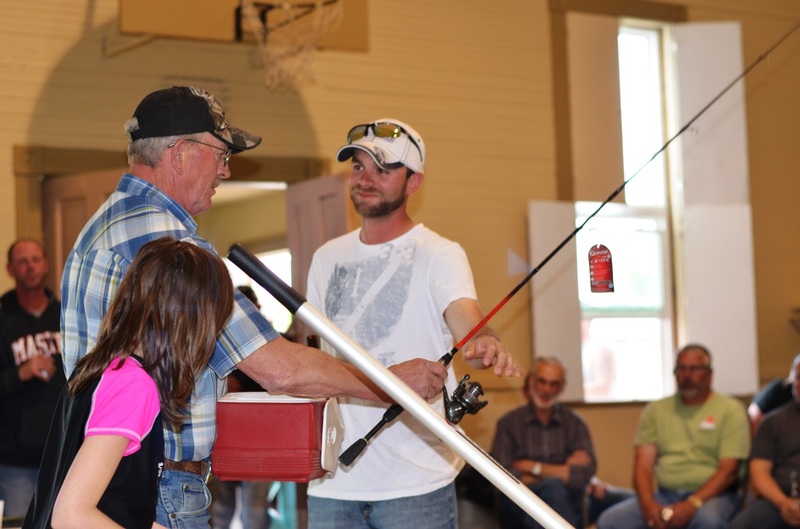 Another spinning rod and reel combo won during the drawing of prizes.